A very large Coronal hole is now facing the Earth and is shooting Solar wind in our direction which will arrive hear around Friday the 8th. MAGNETIC CANYON ON THE SUN: A canyon-shaped hole has opened up in the sun's atmosphere, and it is spewing solar wind into space. NASA's Solar Dynamics Observatory is monitoring the structure, which stretches more than 700,000 km from end to end: This is called a "coronal hole." 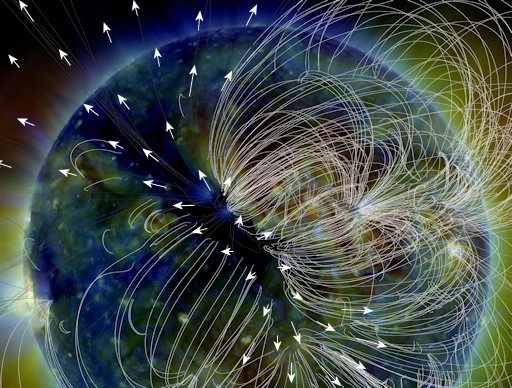 Coronal holes are places in the sun's atmosphere where magnetic fields peel back and allow hot gas to escape. A gaseous stream of solar wind flowing from this opening will reach Earth on July 8th or 9th, possibly sparking polar geomagnetic storms when it arrives. 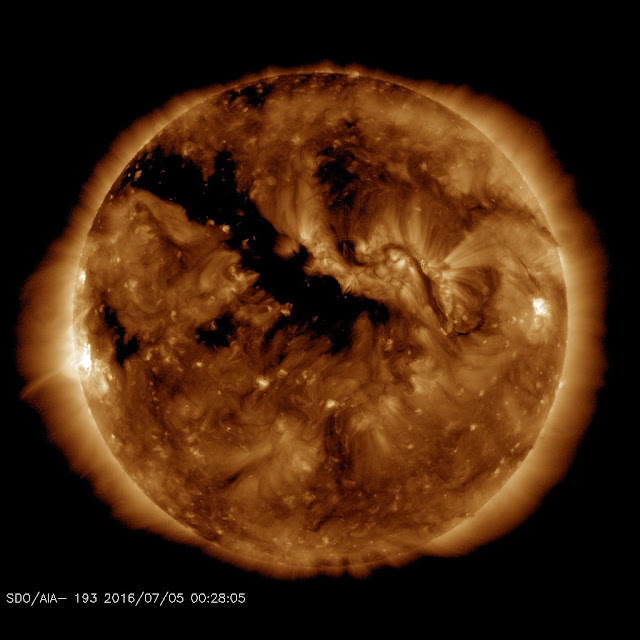 Solar wind flowing from the indicated coronal hole should reach Earth on July 8-9. Credit: SDO/AIA.